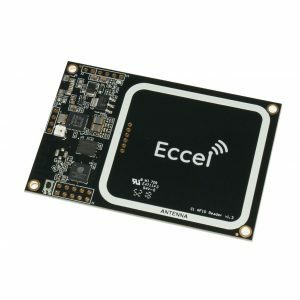 The RFID C1 UART is a very powerful, wireless (Wi-Fi now with Bluetooth to follow soon) and low cost full RFID/NFC read/write device with UART interface that can operate in both host connected and stand alone mode. Supports MIFARE® Classic® in 1K, 4K memory, ICODE, MIFARE Ultralight®, MIFARE DESFire® EV1/EV2, MIFARE Plus®. 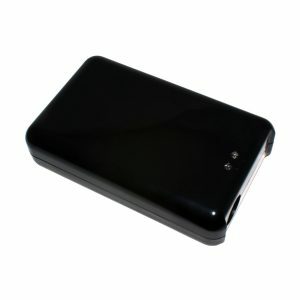 The RFID C1 USB is a very powerful, wireless (Wi-Fi now with Bluetooth to follow soon) and low cost full RFID/NFC read/write device with USB interface that can operate in both host connected and stand alone mode. Supports MIFARE® Classic® in 1K, 4K memory, ICODE, MIFARE Ultralight®, MIFARE DESFire® EV1/EV2, MIFARE Plus®. A surface mount complete RFID reader module supporting MIFARE Classic®, MIFARE Ultralight®, MIFARE EV1®, NTAG2xx® transponders. Serial (UART) interface. Additional features provided are a comparator, DAC, PWM and digital I/O. 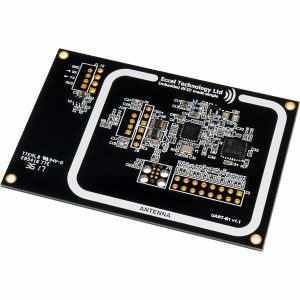 Connect a 3.3V power supply and an antenna (see our antenna range) to create a working RFID reader. Very fast and very low power. Supports multiple tags simultaneously in the field and stand alone operation as well as connected to a host controller operation. Add as a sub assembly component to your pcb to give RFID capability to your product. A surface mount complete RFID reader module supporting Mifare Classic, Mifare Ultralight, Mifare EV1, NTAG2xx transponders. 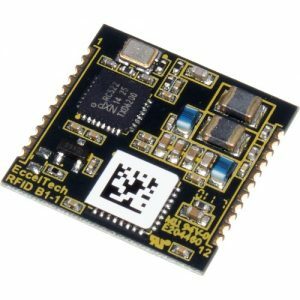 SPI or I2C interface. 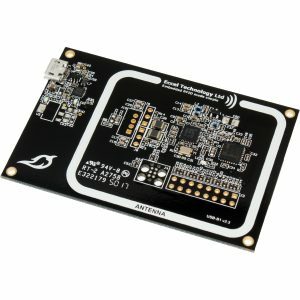 Connect a 3.3V power supply and an antenna (see our antenna range) to create a working RFID reader. Very fast and very low power. Supports multiple tags simultaneously in the field and stand alone operation as well as connected to a host controller operation. 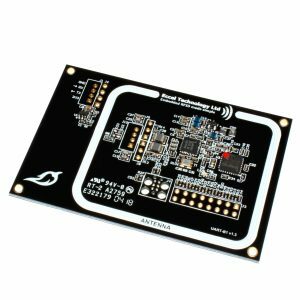 Add as a sub assembly component to your pcb to give RFID capability to your product. The MicroRWD MIFARE LP (Low Power) module is a complete read and write solution for 13.56 MHz MIFARE Classic® cards (1K, 4K and Ultralight® versions) and supports MIFARE® contactless operations to dual-interface cards such as MIFARE ProX®, Smart MX® (JCOP) and other types. DESfire® and MIFARE Plus® cards are supported for serial number acquisition only. The MicroRWD MICODE module is a complete “contactless” read / write solution for 13.56 MHz MIFARE Classic® 1K, MIFARE Classic® 4K, MIFARE Ultralight®, ProX®, Smart MX®, JCOP), ICODE® SLI and ISO14443B (Calypso Rev2) cards and tags. DESfire®, MIFARE Plus® and ISO14443B Calypso cards are supported for serial number acquisition only. 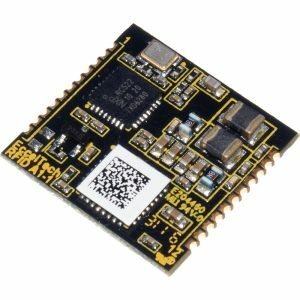 A low cost full RFID/NFC read/write device that can operate in “host” connected mode or “stand alone” mode. Supports MIFARE Classic® 1K, MIFARE Classic® 4K, NTAG2xx®, MIFARE Ultralight®. Based on our RFID-B1 with additional integral antenna, LED for card in the field indication/ interrupt, mounting holes and flexible plated connection holes. A low cost full RFID/NFC read/write device that can operate in “host” connected mode or “stand alone” mode. Supports MIFARE Classic® 1K and MIFARE Classic® 4K, NTAG2xx®, Ultralight. Based on our RFID-B1 with additional integral antenna, USB interface (FTDI virtual COM port, micro USB connector), powered by USB, LED for card in the field indication/ interrupt, mounting holes and flexible plated connection holes. Free software libraries for C, C#, Java, Linux, Arduino. A low cost full RFID/NFC read/write device that can operate in “host” connected mode or “stand alone” mode. Supports MIFARE Classic® 1K, MIFARE Classic® 4K, NTAG2xx®, MIFARE Ultralight®. Based on our RFID-B1 with additional integral antenna, RS232 interface, up to continuous 25V DC power connection, LED for card in the field indication/ interrupt, mounting holes and flexible plated connection holes. Free software libraries for C, C#, Java, Linux, Arduino, Altium/CS footprints, PCB antenna designs. *LIMITED STOCK ITEM* – this version has no LED to indicate a tag presence in the field. 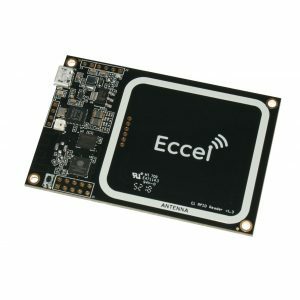 The RaspberryPi-B1 module is an expansion of the RFID B1 module – the second in an evolving family of 13.56 MHz sub assemblies from Eccel Technology Ltd (IB Technology). The product is designed with both embedded applications and computing / PLC platforms in mind. 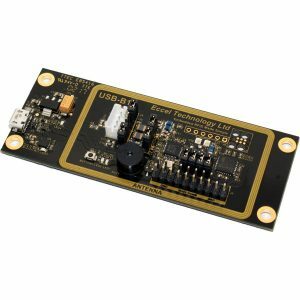 This product is an ideal design choice if the user wishes to add RFID capability to their design quickly and without requiring extensive RFID and embedded software expertise and time. 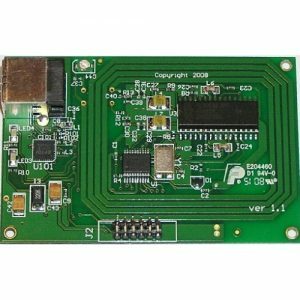 An on board low power ARM microcontroller handles the RFID configuration setup and provides the user with a powerful yet simple command interface to facilitate fast and easy read/write access to the memory and features of the various transponders supported by this module. This device is designed to be compatible with the Raspberry Pi Hat standard. 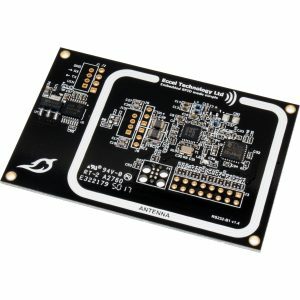 Complete Evaluation and Software Development Board for the RFID-B1 module (supporting ISO 14443A, MIFARE Classic® 1K, MIFARE Classic® 4K, MIFARE Ultralight®, NTAG2xx® card/tag types). 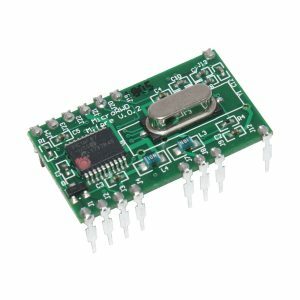 This board is also suitable for use as a standalone OEM reader/writer product of these transponder types. 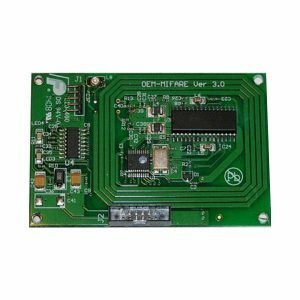 The OEM-MICODE-RS232 Reader Board is a complete Read/Write system for ISO14443A MIFARE Classic® 1K, MIFARE Classic® 4K, MIFARE Ultralight® and ISO15693 ICODE® SLI cards and tags. DESFire® and Mifare Plus® cards are supported for serial number acquisition only. 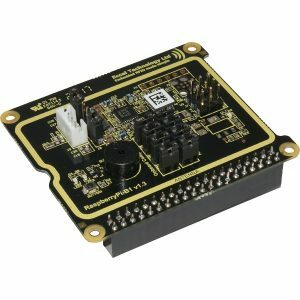 It has an integrated PCB track antenna, LEDs, TTL serial and I/O interface and is available in two versions; with RS232 connector or USB (RS232 interface version requires 5 V supply, USB version uses USB bus for power supply). 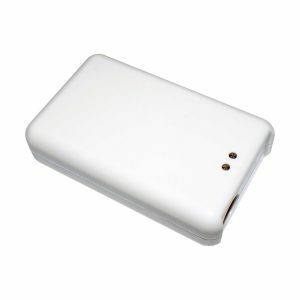 A Complete RFID read/write device supporting NFC transponders (NTAG2 fully supported, NTAG4 serial number read only). Also fully supports MIFARE Classic 1K, MIFARE Classic 4K, MIFARE Ultralight. Supports DESFIRE serial number read only. Connected and powered by USB. Available also in white or black case with rubber feet for desktop use. (Please email sales@eccel.co.uk for pricing and to order cased version).